It&apos;s time to get off your couch and head to the city because there are so many free Chicago events and happenings this month. Take advantage of all that Chicago has to offer, without stretching your budget — from festivals and parades, to a food truck social and outdoor House party. Here are the best free and cheap Chicago events in May. 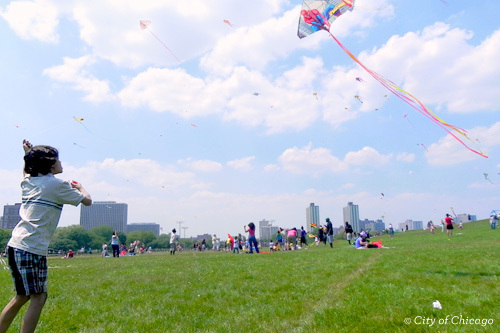 Grab a kite (and your kids) and head to Cricket Hill in Lincoln Park. This outdoor celebration of spring is totally free to attend. Additional activities include face painting, crafts, and a pinata-like kite that will drop candy from the sky. Get more information here. The fifth of May is Chicago&apos;s favorite excuse to drink margaritas and enjoy the city&apos;s delicious Mexican food. The free parade takes place in the Little Village neighborhood and features live music, and of course, authentic eats. Find more info here. On May 13 from 6:30 to 9:30pm, come enjoy some of Chicago&apos;s best street food at the Lincoln Park Zoo. Eat dinner under the stars and listen to live music at this fun event. Bring the entire family to experience after-hours at the zoo. Admission is just $10, or $8 for zoo members. Get tickets here. Mayfest is Lakeview&apos;s annual street festival. Enjoy music and the best food that the neighborhood has to offer inside a covered tent. Sample local brews in the outdoor beer garden. Admission is just 10 bucks! On Saturday, May 20, 9am-9pm, the newly-completed Chicago Riverwalk will host a free celebration for all ages that hits up all the senses. See and hear a traveling music cruise/concert, a marching band, and parades with puppets. Try your hand at fishing at the Jetty led by the Chicago Park District. Watch in wonder as the Chicago River bridges perform their "Dance of the Bridges." And the grand finale? A pyrotechnic display! All free! Visit chicagoriverwalk.us for the entire summer schedule. Chicago&apos;s Memorial Day Parade is a longstanding tradition since 1870 to honor those who served our country. It&apos;s free for all to attend and takes place on State Street at noon, beginning at 11am with the Wreath Laying Ceremony. Explore more Memorial Day weekend picks all across Chicago. Attend the city&apos;s free dance party on May 27 in Millennium Park featuring live performances by House Legacy Project, Peven Everett, and more. Find more details about the Chicago House party here. The complete schedule will be announced soon. Now in its 33rd year, the annual Lakeview street party offers up a lot for the $5 donation asked at the gate for general admission: a packed music lineup of tribute bands, food and drink for purchase, and a craft market. 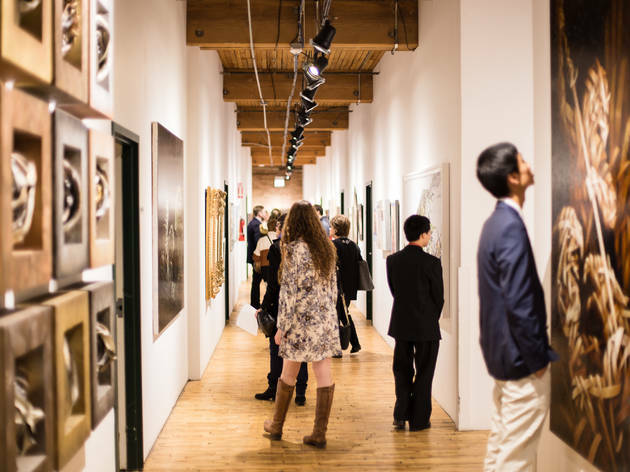 Head to Bridgeport Art Center on the third Friday of the month for open studio night. Take in local artwork and network with creatives. It&apos;s BYOB, so pick up your favorite wine to sip on. There&apos;s also free parking! The Boiler Room in Logan Square hosts a free PBR Bingo Night on the first Monday of the month. There&apos;s no cost to play, although you&apos;ll probably want to grab a beer or two and some pizza while you wait for your lucky numbers to be called. Which of these free Chicago events are you adding to your calendar? Also coming up: summer season kick offs for Chicago City Markets and Maxwell Street Market; and the launch of weekly fireworks at Navy Pier. Find more budget friendly blog picks, or check out this field guide to always-free Chicago attractions.